The author of living faith, the Spirit of Truth, has asked me to let go of many dynamics that strengthen self-determination and embrace others that prepare my soul for the divine consciousness. For example; judgments that are full of error for non-judgmental mindfulness, a sense of lack of value for a belief in an inherent significance, fears of all kinds for love, complaints of ingratitude for gratefulness in everything, being results-driven to being spirit-driven. Overarching these all is letting go of self-perfecting for a transformation through living faith in divine love. Not that I do these at all perfectly, but at this point I rest in knowing it’s about awareness not perfection. When the paths of self-perfection and faith in divine love are understood there is no comparison. The first is like obtaining to become an intelligent caterpillar, and the latter a magnificent butterfly. Self-perfecting is a belief system and lifestyle of an evolutionary progression toward perfection within the framework of one’s current consciousness. It’s the philosophy of spiritual growth in the concepts of self-help, self-actualization, and self-enlightenment. Living faith in divine love is a belief system and lifestyle of a growing awareness in the inherent lack of the self-determined consciousness along with the potential of perfection beyond perfection through oneness with the divine consciousness. The soul in its simplest form consists of the elements of expression that shape its individuality, and the constructs of relative truth that shape its beliefs. The soul can either be governed by the self-determined consciousness or the divine consciousness (Spirit of God). Self-perfection enhances the current consciousness. Living faith in divine love forfeits this consciousness for the divine consciousness. Self-perfection draws from a self-generated strength to produce change. Living faith draws from a divine strength for total transformation. In self-perfection, the self maintains control. In living faith, control is relinquished to the Spirit of Truth. Self-perfection views faults as weaknesses to overcome. Living faith uses them for the highest good in the journey into oneness. Not only to learn from them, but also to create a dependence on a living faith that is anchored in the divine, and thus diminish reliance on self-determination. In living faith, instead of leaning into self-perfection as the answer to the afflictions of the soul, self-perfection is forfeited for complete governance by the divine consciousness, which eradicates all afflictions. In one philosophy, hope is in perfection through progression, in the other, hope is in perfection in the divine consciousness through oneness. When sincerely seeking truth, a soul will encounter the spiritual blueprint of the consciousness. These are the mechanisms by which the consciousness functions, creates and expands. Whether a soul is on a path of self-perfecting or living faith it will learn about these structures and their inner workings. However, the belief system the soul holds determines how it will incorporate these structures. In the framework of self-perfection, these understandings can teach a soul how to grow and become better; to self-perfect, though perfection is unattainable. For example, through understanding one’s reality is a reflective reality, the law of attraction, the interconnectedness of creation, energetic vibrations, the law of gratitude, and so on a soul can grow and enhance the experience of its current soul state. The soul tries from its current state of consciousness to live in harmony with these structures to create peace and bounty in its reality. When lived with some success, these structures enrich one’s life. They bring a sense of control over one’s reality, thus they provide some solace. Progressing souls on this path of self-perfection have discovered and shared beautiful and wonderful aspects of the spiritual blueprint that have greatly benefited the human soul. Yet this path can become very burdensome. It relies on a soul’s self-generated strength, though it may seek assistance from the spirit realm. Thus, this framework strengthens and relies on the enhancement of the self-determined consciousness. Despite all its efforts, the soul is still bound to the inherent weaknesses of this consciousness, and along the way has strengthened its attachment to it. This path of progression never ends in its advancement toward perfection, for a soul without the divine consciousness can never be perfect. In the framework of living faith, these structures are learned to a depth that the soul learns only the divine consciousness can live harmoniously in them. Understanding the spiritual blueprint isn’t to enhance the current consciousness, but to prepare the soul with the constructs and divine desires for oneness with the divine consciousness. In living faith, the soul is anchored in the divine. The soul is refashioned not through self-determination, but through the Spirit of Truth. The strength of self is exchanged for strength in his divine workings. In this higher trust, a trust beyond the self, the Spirit uses all weaknesses for the soul’s development and to strengthen the living faith, thus the working of divine love covers every mishap. It’s tapping into a higher power to recreate the soul, thus the soul is released from the burden of doing so. As a result of engaging this higher power, a very deep work is done in the soul so it’s prepared for oneness. The purpose of desiring in be in harmony with a spiritual structures isn’t to self-perfect, because of its endless path of progression bound in separation from the divine, but to grow in awareness of the spiritual blueprint to prepare the soul for oneness. Though the path of living faith is less burdensome, it has its challenges. Letting go of control isn’t easy. Trusting the Spirit comes through an active continuous engagement that takes dedication. Reconciling a soul to a divine love brings a very deep awareness of the soul’s inherent weakness that can be difficult to bear. Yet, the Spirit creates the perfect balance of weakness, divine love, and purposefulness in all struggles to accomplish his work in the soul. In my desire for a divine consciousness, I’ve been taught that instead of incorporating these understandings into a self-perfecting scheme for myself, they are used to prepare my soul for oneness, which is the progenitor of harmony within the spiritual blueprint of consciousness. The Spirit incorporates their understanding into my soul in relation to the divine consciousness. As I desire the soul state reflected in them, I seek to live by them in faith knowing that my even lack to do so is also serving my faith. Divine love covers all by using all in its perfect orchestration of a divine soul. Through this dynamic my soul is prepared with the constructs to receive the inner working of the divine consciousness. Living faith in divine love, though sown in weakness, is infinitely more powerful than self-perfecting because it’s anchored in the divine consciousness. Thus, it produces a much greater victory; a victory of a divine soul living in perfect harmony with all creation. Belief is the creative mechanism of the consciousness to create an experiential reality. Faith is the progressive act of manifesting the substance of a belief. These two spiritual laws take part in creating our experiential reality. Believing is seeing. Seeing is believing. These two work in unison in a back and forth push and pull. We see what we believe. We believe what we see. Though seeing isn’t necessarily or only in the physical sense; but the perceptions of the mind. I see a situation one way and you another. Seeing is subjective as our beliefs are. This dynamic forms our relative truth; yet, this doesn’t mean our relative truth is aligned to the Truth. This particular alignment requires an active role on our part to seek what is the Truth, which I believe is found through understanding a pure, unconditional, and divine love. A concept comes to us; it sparks a seed of belief. 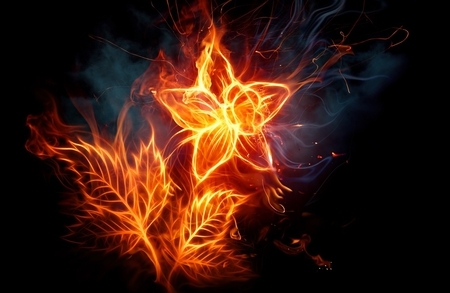 If the spark is strong enough, we act according to that spark, and either it will be reinforced or not. What is reinforced or confirmed becomes our belief, what isn’t passes away. This is the formative process of relative truth. Digging into the mechanisms of this process; faith, the progressive act of manifesting belief, is the movement of the soul in responding to that spark. If a budding belief is reinforced, we act according to it again, which is faith. We do this until what we believe gains the quality of substance in our perceived reality. Thus, faith is the evolution of a seed of a belief into an established knowing that creates our experiential reality. For example, when I first heard, from within my soul, the Spirit of Truth, a seed of belief that I could hear him in this way was born. In faith, I acted upon it by taking time to listen each day. As I learned how to listen, what I heard became reinforced by my reality and the interlocking wisdom I received. The seed of belief became a knowing that I was hearing him. Now my interaction with Spirit is a part of my daily reality. This is what faith does; it brings a spark to a substance. A belief that creates a oneness with our Creator begins with a spark of that belief followed by faith in his divine love. Since faith is the precursor to belief and belief to creation, cultivating a faith in the divine love that creates a oneness with our Creator is the starting place. Faith in divine love is a very personal journey. The Spirit of Truth through our experiences and growing awareness sows it in our soul. So, here is a bit of my experience. It’s my belief that our Creator’s synthesized expression is divine love. Thus his love is always extended toward us, as is the nature of love. His love is present to our soul, but not in this simulation because we can’t yet express it. Since he is love, he is intimately known through my soul; which is able to know and experience love. So to connect to our Creator, I seek and desire to know, thus connect, to his love in my soul. In learning about his love, I learn about his other characteristics, which make up his loving nature. These understandings are part of the preparation a soul goes through to manifest a oneness with his divine consciousness. Since our outward reality is a mirror reflection of our inward reality (another spiritual law at work), as I seek his love inwardly, I’m taught about it outwardly, thus my love expands and increases for all those around me. This increased love is a reflection of the work of faith within creating love where there once was none, or a mere imitation at best. Currently, I have faith that divine love, thus the divine consciousness, is making its way into my soul to form a oneness with my soul. I don’t yet have the substance, so I’m still in the progressive evolution of it, thus faith is at work within me. The faith grows stronger as my relative truth aligns to the Truth. My Creator’s love has always been there, so my faith journey is one of me coming back home and along the way I learn a myriad of priceless lessons that enable the very oneness I desire. So I’m progressing through a soul refinement into an experiential reality of no longer, I, but we. This is the meaning of “Christ in you” or “You in Christ”. Christ is the divine consciousness in a created soul. Jesus possesses this divine consciousness, thus he is Jesus “Christ”. I’m continually experiencing the progressive work of faith ushering in this oneness into my reality. As the awareness of divine love grows it purges all that is contrary to it. I have no idea how long this road is. I can’t know because then faith couldn’t have its perfect work. The unknowing enhances my faith that is the precursor to and the facilitator of this oneness being actualized. Thus, the more faith, the better, until this oneness is manifested. Thus, my reality has been throwing all sorts of circumstances my way, which cause me to stand upon my faith in this divine love and nothing else, thus increasing my faith. My reality is revealing all within my soul that needs to be overturned by divine love. I often feel I’m up against my own personal Goliath, and like David, all I have is faith – yet this faith in divine love is infinitely powerful. Ironically, faith in this divine love is the only real part of my reality, which is also why it’s so powerful. All that is sown by the self-determined consciousness will pass away; it’s finite. All that is sown by the divine consciousness is eternal. Divine love is of the divine consciousness, thus faith in the divine love is more real than what has been sown by the self-determined consciousness. In this understanding, my reality has shifted from the seen to the unseen. My perception is turned from the simulation of the shadow of death to the eternal light of life. I’ll be in this ever illuminating place, like the rising sun, until my faith is complete, and my belief becomes substance. My faith in divine love manifesting in my soul started as a seed. But as my understanding grew, the faith expanded to where now most of my consciousness reality is set upon this faith foundation. Everything I do and experience serves the purpose of manifesting divine love in my soul, thus in my reality. I think, respond, and act based on the concept that divine love is at work in me. Even when I act counter, my faltering illuminates deeper understandings of divine love, which in turn expands my faith. When my faith is complete, then the divine consciousness creates an inseparable union with my soul, and oneness with the Source and Center of divine love is established. In the land of the unreal, the real is a dream. In the land of the real, the unreal is a dream. The Choice exists for our soul, because love is a choice. The Choice is between life or death; to live upon the rock or the shifting sands, to possess the divine consciousness or the self-directed consciousness, and to give and receive unconditional divine love or conditioned human love. These are all the same choice. Divine love consists of many beautiful characteristics that give it its expression. Some I listed in my post Light Catchers: It’s always 1. longsuffering 2. kind and gentle 3. humble and confident 4. courageous and without fear 5. honoring of all 6. constant, consuming, and all-encompassing 7. healing and forgiving 8. giving and nurturing 9. merciful 10. trustworthy, honest, and faithful 11. abundant 12. of divine judgment. It loves perfectly at all times to all entities of creation. It excludes no one or nothing. This love moves through us from its Source. It isn’t self-generated. It is the Light; the power of our Source and Center, our Creator. Therefore, to grow in the awareness of the characteristics of divine love is to begin to know our Creator. Otherwise, we hold a false image and reside in a darkened mind. Thus, to choose this love is to choose to connect to Him; for he is found in this love. Thus, this love with each of its attributes is our compass down the path of enlightenment and into oneness with the Light. Lately, one particular characteristic of this love has been highlighted in my journey; its unconditional nature. It’s given and received without condition; a trait unknown in the shifting sands of conditioned human love. It’s unwavering, constant, consistent, and unfailing. It’s always present in harmony, purity, and perfection. It’s a rock. Thus, its unconditional nature serves as an important part of our life compass. Though, unconditional love is given and received without condition, because it’s love the recipient must receive it and the giver must choose to give it. In this choice to give and receive is where all the conditions reside in conditional love. We judge ourselves worthy or not to receive it, and we judge others worthy or not to give it to; both for a myriad of reasons. When we possess faith in unconditional love we skip this judgment and reside as an open fount while maintaining honor, integrity, and purity of intent. This pivot point of choice is where our voyaging becomes much more difficult. Once we choose unconditional love, a multitude of conditions from our soul surface to teach us what this choice means. Along this leg of our journey, our choice is refined into one of integrity and sincerity. Choosing unconditional love elucidates the areas of our soul’s difficulties extending back to our childhood. Our pains, betrayals, hurts, wounds, fear, and all their protective gear; our judgments, self-righteousness, pride, ego, isolation, anger, selfishness, are unearthed and exposed. Our protective gear forms a multi-layered barrier around our soul center; the outlet of love. This heart-wall stands like Jericho and prohibits us from a sincere choice to give unconditional love because we chose our protective gear instead. Yet, as we continue to grow in awareness, we gain new perspectives that reframe these painful areas. For example, we no longer see past decisions that led to pain or harm to others and ourselves in disdain, but we realize it was part of our shadow self presenting opportunities to grow by. In the lucidity of truth that comes to us in layer upon layer, we find a release for our walled-in difficulties, and assimilate the wisdom they provided to our eternal spirit mind. As these hurts are loosed, the protective gear falls away, and our soul opens to receive and give love in faith. Our self-imposed conditions are consumed by the awareness that this divine love is needed to heal and restore our soul and all those we’ve impacted along the way, thus we come to desire it above all else. Through this exposition of our souls, we come to realize we give what we have; whether in faith or substance. A divine love isn’t self-consumed or self-generated. It flows from the Source through us to others. It is received into our soul, and then it is given from our soul. Thus, if we don’t desire or understand the need for an internal love, honor, and respect for our own soul then we can’t progress in giving it to others, for it flows through us and to others. The internal love we possess is the love we express. Thus, the degree of love we have toward ourselves is the degree of love we have toward others. If we claim to have a love for others and not ourselves, we have not love, but attachment. If we claim to have a love for ourselves and not for others, we have not love, but disillusioned ego. This inner love is one of the hardest lessons we face. Our shadow self challenges us with personal weaknesses to teach us how to receive a love without condition for ourselves. This is part of its purpose. But we get hung up on the conditions instead of realizing they are present to teach us about unconditional love. To love without condition is understood when there are conditions to overcome. The more conditions, the more expansive our understanding of this love becomes. Thus, in the midst of imperfections, weaknesses, and afflictions, and all sorts of conditions, we are able to learn of this divine love’s magnificence, depth and vastness. How it covers, heals, and restores. We are given ample opportunities to learn of this divine love, thus the nature of our Creator that we may sincerely choose oneness with him, as a part of his divine consciousness. Again, the ability to give unconditional divine love in substance is gained through a oneness with the divine consciousness, when we no longer reside in the reflection of our shadow self, but as our true divine self. Because faith precedes substance, the Spirit of Truth crafts a living faith in divine love, which the substance fills our soul at our awakening. Experiencing our shadow self creates the faith that leads to the manifestation of our true divine self. The growing awareness of this love driven by our CHOICE create neuro-pathways of the ways of God within our eternal spirit mind of our true self. This is the formation of our faith. These prepare us for the inflow of the energy of the divine consciousness. If our understandings and desires are in contradiction to this consciousness, there is no synergistic fit, for love is a choice. It’s like two magnets repelling one another instead of pulling toward each other. A sincere longing for this divine love with all its attributes creates an inlet and outlet for the divine consciousness to flow through our soul to others. As the awareness of unconditional love grows in our own soul, then we are able to extend it to others in faith, which again precedes the substance. If we are unwilling to give this unconditional love, then the door to our soul remains closed. However, even in this state, if we continue to seek truth and divine love; our unwillingness will change to willingness as we learn divine love with all its characteristics is the answer and fulfillment to all we seek. Unconditional divine love is eternal life, immortality, power, harmony, freedom, peace, joy and rest for our souls and streams of living water for others through us. Categories: Enlightenment, Faith | Permalink. Two changes in our soul start us on the journey to obtaining divine love. One is a genuine desire to perfectly love all creation, and the other is to realize we can’t on our own, but only by obtaining an oneness with our heavenly Father. This desire and realization move us out of a perfecting natural love and into the love of divinity. It’s the difference of abiding in the light and being of the light. These changes set us on the journey of the new birth of our soul, a soul containing the substance of divinity. A living faith is the strength of our soul that brings forth this new soul. Living faith is developed out of this driving desire for divine love that creates a soul substance of divinity. Living faith is our soul perception of our reality when it’s established on absolute truth and divine love that supersedes all other perceptions. It’s a faith that continually shapes our soul in divine love/truth until we find harmony, and thus an oneness, with the soul of our Father. When we have this living faith, we experience a sincere care that is ever deepening for all of creation that we never had before. Its realness creates a complete change of perception of the world around us, thus our lives become a thriving reality in which his love can ever expand and grow. This change into a growing divine love within us is our greatest testimony of a true and living faith. It causes us to come alive in our soul, in a way we never experienced before for it’s of eternal life. It alters our lifestyle, choices, thoughts, behaviors and actions into the real and everlasting. It’s an active and substantial faith as it’s established within us by receiving intimate instruction from our Father and his beloved son. Their intimate instruction recreates our soul and makes us fit to find an oneness and eternal unity with divinity. Living faith is to live, and thus have a life established on the truth and love of our Father and his son Jesus Christ, the one most filled with divine love and truth as it is ever expanding within him. This living faith isn’t established on or by religious dogma, ceremonies, or instruction, though many start from this place. It’s established on the intimate counsel and teaching between our Christ, our heavenly Father, and us. Together they move us out of the symbols and images of truth/love and into the real. This is a living faith as it is always grows out of the substance of true life, truth and the way into a unity with divinity. As our heavenly Father impresses his character and nature upon our soul, especially his love, and as Christ Jesus teaches us and instructs us as the perfect older brother who has “been there and done that”, our souls are reworked and reshaped to the substance of divinity, no more a mere image of what is to be. Christ knows the way out of the blindness of the soul; the way to create and establish a living faith that brings in the living light, new birth. The blindness is an internal blindness of the soul. This blindness is of our soul/mental perception when we are disconnected from our heavenly Father. In this disconnect from the all-knowing source, it’s a perception that only knows its own mind and nothing else, thus very limited and very easily falls into error. It’s a darkness covering our internal perceptions that affect our understanding of what we do see. As we follow his lead, he guides us out of the blindness of the soul, which is like a vast wilderness, where our limited soul perceptions give us only misleading counsel, and to an oasis of the real and eternal perfect reality that is crafted by the divine love of our Father. Divine instructions lead to life; all else leads to wandering in circular paths. Only this counsel gives us true sight in a soul of blindness. This soul development and corresponding lifestyle transformation that follows establishes our soul on an unshakable foundation. This rock of living faith carries us through the birth pangs into our new soul birth. These birth pangs are the testing and revealing of our faith. As our faith remains firm through the storms of our circumstances and soul (birth pangs), it’s found strong and sufficient to bring forth our new soul. When the storms pass and we are still standing, out flow from our soul the living light of perfect wisdom and love manifesting eternal comforts, harmony and peace. Living faith brings forth the living light. This faith “pushes” this living light into our reality. This living light is the perception of our heavenly Father’s all–knowing soul eye residing within our soul eye. This unison enables his supreme intellect/wisdom/love, which act as one, to flow through us and into our reality. This outflow radiates a heavenly divine reflection out of our soul and into the world. We become reflectors of the divinity of our heavenly Father. In it we exude a superior love and intellect beyond a human soul’s capability that reveals us as sons and daughters in harmony with the Most High. This makes us a part of his light. Until we receive this deep connection to our Father so that his soul eye governs us from the deepest place within our soul, we are blind. Living faith produces a night vision in a soul of blindness until we experience a new birth of our soul and thus become a part of the living light. Until we have his perspective as our own, we have a degree of blindness. Everyone is somewhere along the continuum of blindness. Where we are on this continuum depends upon the amount of divine truth and love that we understand and live by. Only by being united to our Father through his love influencing our soul and the instruction of Jesus Christ do we come into the living light, the new birth. In this unity nothing is left in us that is contradictory to his soul, thus we are rightly united to him and find our oneness with him. This transformation starts now, today. Not some future point or after death. Any day can be the beginning of our transformation into a new soul. Categories: Faith | Tags: Christ Jesus, Faith, God, heavenly Father, living faith, new birth, soul perceptions, soul transformation | Permalink. In the Current of Grace? When we are abiding in God’s grace, there is a current of power that underscores our lives. We abide in an evident fortress and godly favor. God is power. When there is true power, it’s mighty in the gentlest ways. It’s the power in David and Goliath; in bringing down Jericho with marching and trumpets, in the smallest nation defeating the greatest, and in having a child beyond childbearing years. Grace is a constant gentle force providing an abundance for each breath we take. The power of God doesn’t parade itself; it simply is. If you are truly in Him, you have this power. It isn’t expressed in a display of weapons and artillery, resources and riches, or the strength of mankind, as the world’s power. It’s far greater, because true power is established in eternal truth. Grace/power shows itself through our lives: abiding in smooth paths, working in wisdom, acting in loving-kindness without hypocrisy, accomplishing our calling in ease beyond our natural ability, living in victories, receiving the deepest of healing, ruling of peace in our mind and in our lifestyle, transcending hardships/trials, and transforming our reality. Grace consists of a gentle power because it’s true power, and it conquers ALL when we are in its current. How do we tap into this gentle yet extremely powerful grace that is abundant for us? Paul warns us to not receive the grace of God in vain. What does that mean? The answer is in Hebrews 5:9. If we received grace, we’re growing in righteousness, for this is what it brings. If we receive it in vain, we don’t walk in righteousness, and we are still bound in our sin. In many ways, the understanding of grace has been abused, misused, and thus received in vain. It’s been seen as an expulsion of sin in theory but not in actuality. Grace isn’t to excuse, justify or rationalize sin. It isn’t God turning His head to our sin and looking the other way. Galatians 6:7 It’s the power to ACTUALLY overcome it, to ACTUALLY walk in righteousness. Grace is the gift of God through Christ Jesus. Romans 5:15 In giving us Christ’s spirit, we have the faith and power to move from an existence of death to one of abundant eternal life, because we can walk in true righteousness. Without grace, we could do nothing. With it nothing is impossible. Phil 4:13 In its current, our self-will is defeated, from which all sin flows. Its power overcomes the flesh. In it we abide in the spirit, which is true life. Outside of grace, lives are stripped of power and full of suffering and defeat. Instead of growing into a new creation, the prison bars grow in strength. Though mercy may still be evident, the power in constant victory and growing transformation isn’t found. 2 Corin 5:7-9, 11, 2 Corin 5:16-18 If we don’t continually seek to know God in truth and spirit, to hear His voice speaking to each one of us, and walk in His faith, then the grace given to us is received in vain. When we are REALLY trusting, our soul is in a state of REST. We’ve let go of the situation and rely on God to work it out through us and for us. When we experience this relinquishing of our self-will along with any other emotion not of trust: fear, anxiousness, or anger; and abide in peace, then we’ve demonstrated we know and trust God. In submission to His care, there is tremendous power because He is faithful to perform all things to those who trust Him. This is living in the current of grace, the power of God made possible by Christ giving us His Spirit. Categories: Encouragement, Faith | Tags: Bible, Faith, God, Grace, Jesus Christ, Obedience, obeying, power, Salvation, Trust, truth | Permalink. There is a voice of truth within you, if you will listen. Hebrews 8:10-11, John 18:37 It’s the voice of God directing you into eternal abundant life. Isaiah 30:21 It’s telling you how to think, act, and live in the smallest detail. If heeded, it establishes your thoughts to be thoughts of life, which causes true life to grow in you and around you. Proverbs 16:3 Its counsel is perfect, powerful and of the purest love. It’s not about religion, mankind’s contrived images/doctrines of God. It’s about you and your Creator and your connection to Him grounded in truth and spirit. If you don’t listen and continue to give other voices authority, you will see growing unrest, angst, suffering, afflictions and hardships. If you listen, it will teach you the scriptures leading to life. 1 John 2:27 It will speak loudly through the prophets and their adamant instructions, warnings and guidance to what is happening in these days. It will show you the great mysteries of God. Its truth will protect you for it will keep you from the traps, snares and pits of the enemy. Psalm 18:30 It will teach you what is happening beyond the physical layer of life into the spiritual. As it does, it will morph the spiritual world with the physical and thus you will start to experience the kingdom of heaven on earth in a new power and presence. There should be no greater authority in your mind; not family, friends, spouse, religious leaders, experts, PHDs, doctors, government, and any form of media. It requires immense courage to follow this voice of truth from within, because it’s contrary to this world’s philosophies and religion. God’s ways are not our ways. It will push you out of your comfort zone. It will cause division with some. Luke 12:51 It will unite others. Yet, as you follow bit by bit, the wisdom and perfection of this voice and the effect on your life (rest, peace, joy and love) will motivate you to press on. It’s establishing a righteous love in this earth. A love unlike anything this world has experienced. It starts by righteous love abiding within you, which brings you into a greater state of honor, forgiveness, compassion, and mercy. How do you hear God more clearly? Put away ALL other teachings about God for at least 7 weeks. Spend time with God and learn only from His Spirit through creation, the Bible, and your circumstances. Let Him teach you the Bible, what it truly says. Have no other commentary, books, teachers, teachings, church … nothing. In this 7-week sabbatical, you will learn to trust God and not another to show you truth, and this will be your deliverance these days. 2 Thess 2:10 Not reading the Bible as it has been taught by others, but the Bible taught to you by the Holy Spirit. Converse with God through writing. Pour out your heart, ask questions, and write what you believe He is telling you. Listen and obey in the small things. These are the truest acts of worship. To make your desires to be His desires. To know God as He is, especially as Righteous love – sum of all commandments. To reveal and purge the lies your mind is holding on to, then be willing to learn something new. Pray to be protected from deception. Those who listen will be separated unto the Kingdom of God, those who don’t will be separated into darkness. Chose your path. Categories: End Times, Faith, Hearing the Spirit | Tags: Bible, End Times, God's voice, Good shepherd, Holy Spirit, Salvation, tribulation, truth, Voice of God, Voice of Truth | Permalink.